(Chris Detrick | The Salt Lake Tribune) USA's Brittany Bowe races Netherlands' Jorien Ter Mors in the Ladies' 1,000m during the Pyeongchang 2018 Winter Olympics Wednesday, Feb. 14, 2018. Bowe finished in 4th place with a time of 1:14.36. She’d felt all the symptoms before, known the unfortunate reality of everything that happens after a sustained concussion. After all, they nearly derailed her entire career, kept her away from the ice, nearly kept her from persevering and returning to eventually win an Olympic medal last February. After a training collision in the summer of 2016, Brittany Bowe dealt with lingering aftereffects of the concussion for 18 months. So when Bowe crashed on a bike during training a week before the 2019 world sprint championships Heerenveen, Netherlands, a couple of weeks ago — an accident that resulted in another concussion — the 31-year-old American long-track speedskating star was reminded of something. “Nothing is a given,” she wrote on her Instagram page. She recovered in time, got to the start line inside the Thialf Ice Arena, heard the gun blast and won the overall bronze medal, which in this banner year of her career, might be the sweetest accomplishment. It came on her 31st birthday. She overcame two tough days of racing to get to that point on Feb. 24 and she found a way to keep the momentum going. She won the women’s 1,000 meters the first day and then got two silvers. Her total time for all events earned her the bronze for the overall world championship event. Bowe returns to her home ice this weekend at the Utah Olympic Oval to participate in the final ISU long-track world cup event Saturday and Sunday in Kearns. She does so having won 12 world cup medals (five goals, two silver, five bronze) this season, along with a world championship gold in the women’s 1,000 and a bronze in the women’s 1,500 at the 2019 single distance championships in Inzell, Germany in early February. 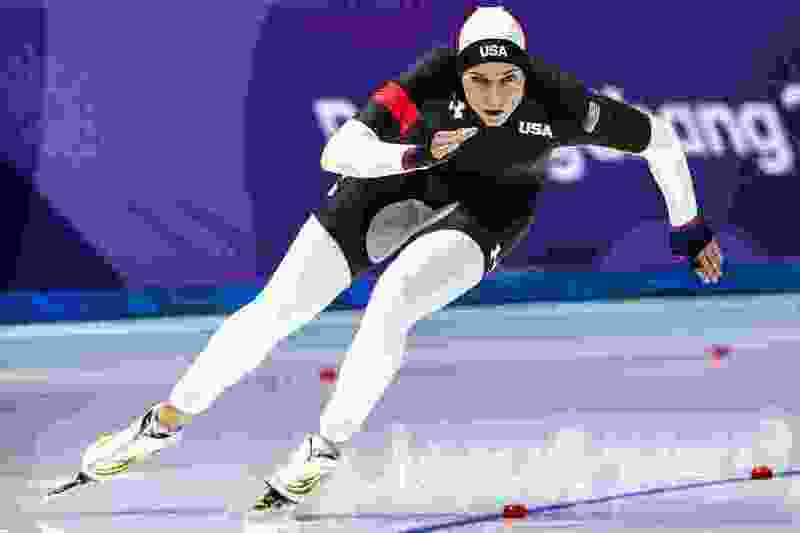 The Ocala, Fla., native lives and trains in Salt Lake, and a year ago, helped U.S. speedskating win its first women’s long-track Olympic medal since Jennifer Rodriguez did in Salt Lake at the 2002 Games. A team of Bowe, Mia Manganello and Heather Bergsma won bronze in the women’s team pursuit last year in South Korea. Saturday • 12:30 p.m.-4 p.m.
Sunday • 1:30 p.m.-4 p.m.